Health Insurance Innovation can sell its products without making consumers jump through hoops. HealthCare.gov has been Health Insurance Innovation's friend. Executives at Health Insurance Innovations Inc. (Nasdaq:HIIQ) sounded gleeful today as they talked about current sales of the short-term medical (STM) insurance products, hospital indemnity plans and ancillary products the company develops and markets. The Patient Protection and Affordable Care Act (PPACA) public exchanges have tried to discourage consumers from waiting until they get sick to buy health coverage by offering easy access to individual major medical coverage only during an open enrollment period. 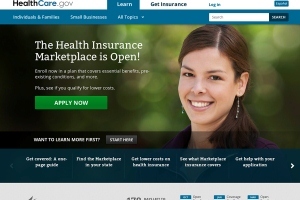 The 2014 open enrollment period started Oct. 1 and ended in most of the country April 15. In practice, because of state regulations, or insurers’ own efforts to avoid antiselection, the end of the public exchange open enrollment period has ended the regular selling season for most individual major medical coverage throughout most of the country. To buy individual major medical coverage now, consumers have to show that they have an excuse, such as a divorce or loss of a job, that qualifies them for a special enrollment period. PPACA has not yet had any direct effect on the ability of insurers to use medical underwriting when selling and pricing the kinds of products Health Insurance Innovations sells. PPACA also has had no effect on the benefits in the plans, and insurers continue to write the products year-round. This month, since most states’ exchange plan enrollment periods ended, “we’re seeing very positive, strong results,” Mike Kosloske, the company’s chief executive officer, said yesterday during a conference call with securities analysts. Health Insurance Innovations already has relationships with 14,000 licensed brokers, and about 60 to 70 more are applying to sell the company’s products every day, Kosloske said. “What are the 300,000 agents going to sell in the off-enrollment period?” Kosloske said. The answer, he said, may be non-PPACA products. Health Insurance Innovations held the call to discuss first-quarter results. The company is reporting a $248,000 net loss for the quarter on $18 million in revenue, compared with a net loss of $7.5 million on $12 million in revenue for the first quarter of 2013. The company ended the quarter providing coverage for 85,875 people, up 44 percent from the number it was covering a year earlier. The number of new applications taken increased 107 percent, to 57,644. Health Insurance Innovations is a major player in the STM and indemnity insurance markets, and the policies it has sold still cover only a tiny percentage of the U.S. population. The little-noticed public exchange that’s run by the U.S. Department of Health and Human Services (HHS) in Alabama has provided “qualified health plan” (QHP) coverage for about 90,000 people, for example. But Kosloske said agents selling the STM products have an easy time competing with the QHP products, even during an open enrollment period, because the STM products — which are medically underwritten and have caps on annual benefits — cost about one-third less than bronze plans, offer comparable or lower out-of-pocket costs for routine office visits, and offer a much wider choice of providers.